170010 D427 Daewoo diesel engine D427 Service and maintenance manual. 170011 D430 Daewoo diesel engine D430 Service and maintenance manual. 170012 D1146, D1146T, P086TI Daewoo diesel engines D1146, D1146T, P086TI Spare parts catalog. Service and maintenance manual. 170013 D2366, D2366T Daewoo diesel engine D2366, D2366T Service and maintenance manual. 170014 DB33, P034TI Daewoo diesel engine DB33, P034TI Spare parts catalog. Maintenance Manual. Operation Manual. 170015 DB58 Daewoo diesel engine DB58 Spare parts catalog. Service and maintenance manual. 170016 DB58S Daewoo diesel engine DB58S Spare parts catalog. 170017 DB58TIS Daewoo diesel engine DB58TIS Spare parts catalog. 170018 DB58TI Daewoo diesel engine DB58TI Maintenance Manual. 170019 DE08TIS Daewoo diesel engine DE08TIS Spare parts catalog. Maintenance Manual. 170020 DE12 Daewoo diesel engine DE12 Spare parts catalog. Service and maintenance manual. 170021 DE12T Daewoo diesel engine DE12T Spare parts catalog. Service and maintenance manual. 170022 DE12TIS Daewoo diesel engine DE12TIS Spare parts catalog. Service and maintenance manual. 170023 DL06 Daewoo diesel engine DL06 Spare parts catalog. 170024 DL06K Daewoo diesel engine DL06K Spare parts catalog. 170025 DL06 Daewoo diesel engine DL06 Service and maintenance manual. 170026 DL08 Daewoo diesel engine DL08 Spare parts catalog. Service and maintenance manual. 170027 DL08K Daewoo diesel engine DL08K Spare parts catalog. 170028 DL08S Daewoo diesel engine DL08S Spare parts catalog. Service and maintenance manual. 170029 DL11K Daewoo diesel engine DL11K Spare parts catalog. 170030 DV11 Daewoo diesel engine DV11 Spare parts catalog. Service and maintenance manual. 170031 DV15 Daewoo diesel engine DV15 Service and maintenance manual. 170032 GE08TI Daewoo diesel engine GE08TI Spare parts catalog. 170033 GE08TIC Daewoo diesel engine GE08TIC Spare parts catalog. Service and maintenance manual. 170034 GE12TI Daewoo diesel engine GE12TI Spare parts catalog. 170035 GE12TIC Daewoo diesel engine GE12TIC Spare parts catalog. Service and maintenance manual. 170036 GV158TIC Daewoo diesel engine GV158TIC Spare parts catalog. 170037 GV180TIC Daewoo diesel engine GV180TIC Spare parts catalog. 170038 GV222TIC Daewoo diesel engine GV222TIC Spare parts catalog. 170039 GV158TIC Daewoo diesel engine GV158TIC Service and maintenance manual. 170040 GV180TIC Daewoo diesel engine GV180TIC Service and maintenance manual. 170041 GV222TIC Daewoo diesel engine GV222TIC Service and maintenance manual. 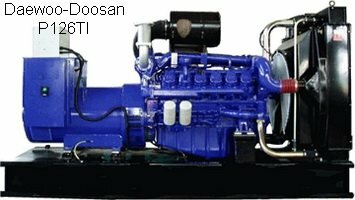 170042 L086TI, AD086TI Daewoo diesel engine L086TI, AD086TI Service and maintenance manual. 170043 L136 Daewoo diesel engine L136 / L136T/ L136TI / 086TI / AD136 / AD136T / AD136TI / S086TI Service and maintenance manual. 170044 L126TI, AD126TI Daewoo diesel engine L126TI, AD126TI Spare parts catalog. Service and maintenance manual. 170045 MD196T, MD196TI, AD196T, AD196TI Daewoo diesel engine MD196T, MD196TI, AD196T, AD196TI Spare parts catalog. Service and maintenance manual. 170046 P158 Daewoo diesel engine P158 Spare parts catalog. Service and maintenance manual. Currently DAEWOO engines are produced under brand name DOOSAN.